Ilayathalapathi Vijay's 58th film is titled as 'Puli'. Co-starring Hansika Motvani, Shruti Haasan, and Kannada Star Sudeep, Sridevi, the Bollywood diva is also there in Puli movie playing her role as Hansika's mother. Chimbudevan directing the film whereas Devi Sri Prasad (DSP) composing the music of Puli and as reported Vijay will be playing dual role in the movie. The film, Puli has become one of the most awaited one in 2015 among other line-up of awaited films like Ajith Kumar's "Yennai Arindhal..", Vikram's 'I(AI)', Surya's "Masss", Kamal's "Uttama Villain", "Papanasam", and more. 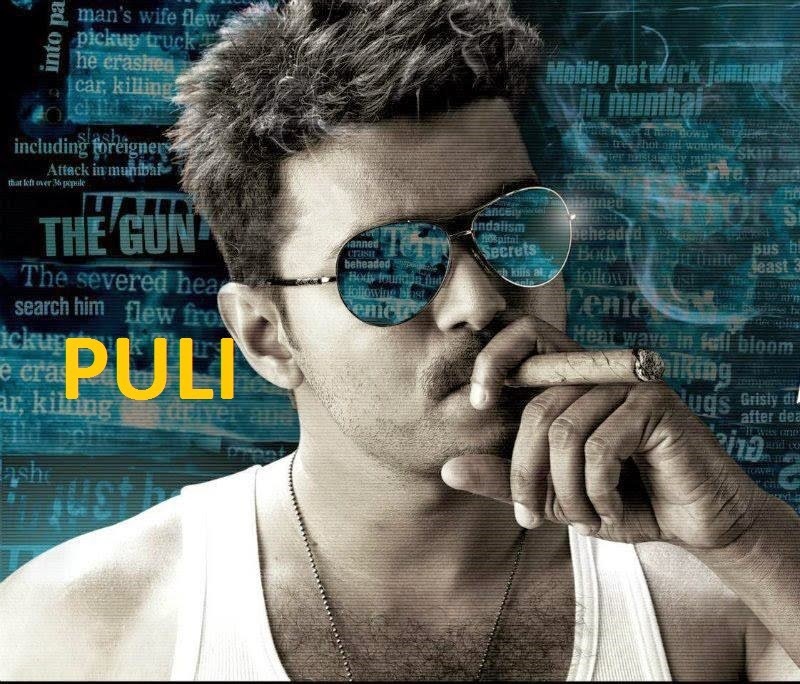 Vijay’s fans are excited about his movie title ‘Puli’ and waiting for its release. The movie will hit theatres likely for Diwali 2015.